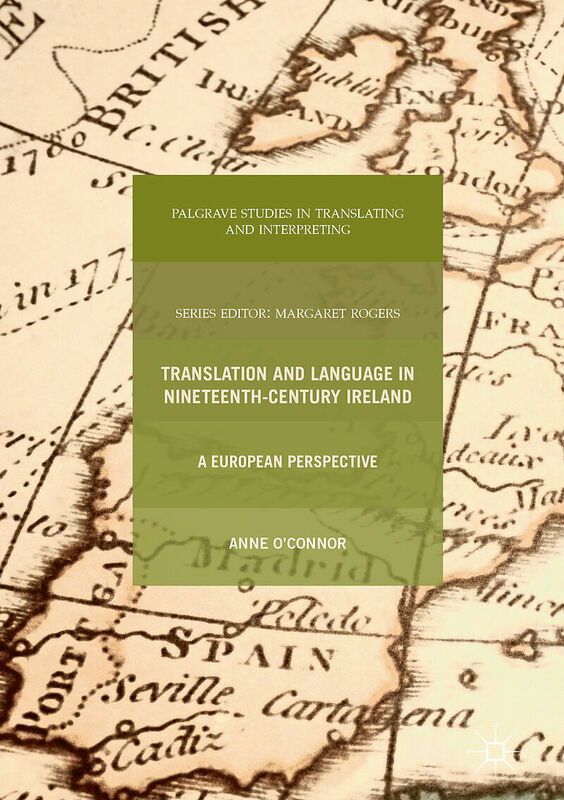 This book provides an in-depth study of translation and translators in nineteenth-century Ireland, using translation history to widen our understanding of cultural exchange in the period. It paints a new picture of a transnational Ireland in contact with Europe, offering fresh perspectives on the historical, political and cultural debates of the era. Employing contemporary translation theories and applying them to Ireland&apos;s socio-historical past, the author offers novel insights on a large range of disciplines relating to the country, such as religion, gender, authorship and nationalism. 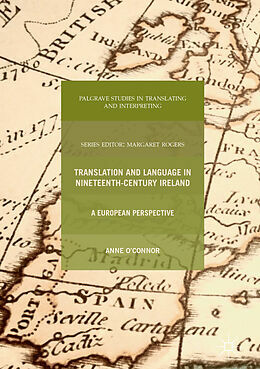 She maps out new ways of understanding the impact of translation in society and re-examines assumptions about the place of language and Europe in nineteenth-century Ireland. By focusing on a period of significant linguistic and societal change, she questions the creative, conflictual and hegemonic energies unleashed by translations. This book will therefore be of interest to those working in Translation Studies, Irish Studies, History, Comparative Literature and Cultural Studies. Anne O'Connor is Lecturer in the School of Languages, Literatures and Cultures at the National University of Ireland, Galway. Her research interests include translation history, Romanticism, Italian culture and history, travel literature and transnationalism. Chapter 1. Introduction.- Chapter 2. European Languages in Nineteenth-Century Ireland.- Chapter 3. The Translation Trade: Economies of Culture in the Nineteenth Century.- Chapter 4. Translation and Religion.- Chapter 5. Death of the Author, Birth of the Translator? Translation and Originality in Nineteenth-Century Ireland.- Chapter 6. Translation and the Nation.- Chapter 7. 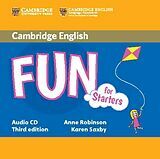 The Female Pen: Translation Activity and Reception.- Chapter 8. "Very pretty, Signor": Vernacular and Continental Currents and Clashes.- Chapter 9. Conclusion.